The first year of freelancing shouldn’t be to break even as a freelancer. It should be more to create a level playing field for next few years. You don’t want to rush to get clients but the first few years is the survival time with an opportunity to learn. The first year of freelancing shouldn’t be to break even as a freelancer. It should be more to create a level playing field for next few years. You don’t want to rush to get clients but the first few years is the survival time with an opportunity to learn. 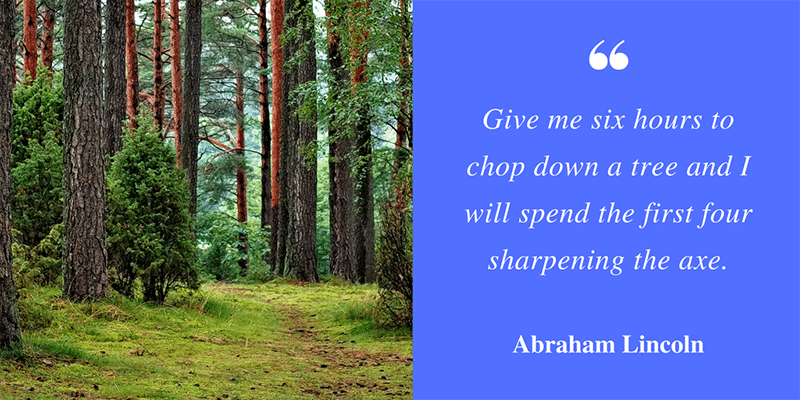 Remember this quote from Abraham Lincoln. In this digital era of online information, the quote is much more valid than ever before. There are more blogs today than they were yesterday. There is more content online today than when you started reading this article a moment ago and we will have so much more written only on the topic of freelancing even before you can complete reading this article. With so much of information being published every day online, one can’t grasp all of it and one neither needs to. One needs the right kind of skill to be able to judge what you should be using as information and what you should be building on as a knowledge that can help you become a better freelancer. As a new freelancer, there is so much more to read about freelancing today than it was yesterday. Few more freelancing websites may have been launched. College students can make money doing programming. Photographers can upload photos and get paid. So it is important to understand what one should be doing in the first year of freelancing. It isn’t about the number of clients one can find in the first year of freelancing but one must know more ways to find clients. The first year of freelancing is possibly the best and the only time when you can allocate time and resources to experiment extra ways to find clients. The more ways you know to find clients, the better. If you start dealing only in Upwork with applying to jobs with proposals, you are limiting your ability to finding clients. Upwork is the best source of clients for me but it is not the only source of clients for me. The limitation to only using Upwork for clients can mean you may lack the knowledge to find clients outside of Upwork. There are numerous other ways to finding clients like offline marketing, blog, referrals, forums and networking, or social media to name the few. If you don’t try them out, you won’t know what may work and what not. The best time to experimenting such methods is in the early stages of your freelancing career when you have very little at stake. You can’t get enough new clients all the time with your own efforts. A strong relationship with existing clients can help with a lot of repeat work and referrals. 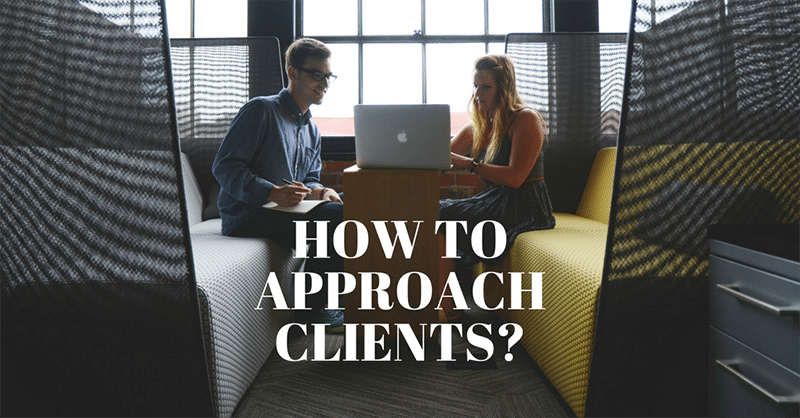 So you don’t have to look for new clients all the time. I am not taking up any new client for last few months because I have more work than I like to allocate my time for freelancing. Still a few days ago an old client asked for some changes in the ads that I worked for him sometime back. I did the changes and they didn’t take much of my time. He is a long-term client where we work on large work and so even things aren’t part of the support I prefer not to charge them for every minute spend on their tasks. This, in turn, will get you more work in the future. There are times where you work on the relationship. It can be doing some trivial tasks or consulting them or helping them out with something. It isn’t the work that you don’t charge builds relationship and even a faster turnaround time can build the trust and relationship. As a new freelancer, one has to actively focus on building relationships. I see the hunger to learn goes missing among the new freelancers who somehow has managed to get their first few clients by placing proposals on freelancing websites. As soon as they get the clients, the race is on to get paid more hours per week. Enhancing their skills or narrowing the niche takes a backseat. Once the focus is on “more paid hours per week”, the eminent restriction on the number of hours per week one can work. Instead one should allow time to enhance the skills and adapt to the new and upcoming technologies. We know what happened to Groupon, Yahoo, Nokia or Blackberry and the list can go on and on but the point is, all of them had one thing in common which is they weren’t adaptable to the new. If you do the same mistake, it is only a matter of time when you will be lost in the world of everchanging freelancing landscape.